Sunday 9 December: 4.00 – 5.20pm at St John’s Anglican Church, Constitution Ave Reid, followed by refreshments in the Robertson Room. Program: Classical works by Telemann, Puccini and Munier, Bill Monroe’s bluegrass, Italian and Greek favourites and works by contemporary Australian composer for mandolin orchestras, Robert Schulz, performed by COZMO, a short program of pieces presented by our COZYMO students and debut performance of Canberra’s newest ukulele ensemble Uke-ACT. Tickets at the door – includes concert and refreshments in the Robertson Room next to the church. $15 Full, $10 Concession*, Free for under-14s. (* Seniors 60+, Health Care Card holders, Full-time students, Youth 14+). Contact: Lea O’Brien (Secretary, COZMO) Ph: 0421 043 082 or Email: secretary@cozmo.org.au. Web: http://cozmo.org.au. Saturday 4 November: The gardens of St Paul’s Uniting Church, 9.30 – 10.30am. Saturday 21 October: In St John’s Anglican Church, 10.00-11.30am. Saturday 9 October: Stage 88 in Commonwealth Park, 12.00-12.30pm. Sunday 16 July, 4.00 – 5.00pm. Learning Group Sessions resume for Semester 2 at the Hellenic Club in the City, 13 Moore St Civic, ACT. Sunday 16 July, 5.15 – 7.30pm. COZMO resumes rehearsals for Semester 2 at the Hellenic Club in the City, 13 Moore St Civic, ACT. Sunday 11 June, 1.30 – 3.00pm. COZMO performed in the High Court of Australia’s Grand Foyer, presenting a delightful program of music varying from Telemannn’s Concerto Polonaise to Puccini favourites, Bill Monroe bluegrass pieces, Latin and tango as well as Italian favourites. The repertoire was extremely well received by the 300+ audience! Click HERE for photos. Saturday 25 March, 11am – 4pm: The 4th year of Canberra’s Connect and Participate Expo. COZMO had a stall at the Expo again (as we did in 2014, 2015 and 2016), to meet Canberra’s community and let them know about the COZMO Ensemble and the COZYMO Learning Groups – Beginning and Continuing. We offered 10-minute lessons on mandolin and guitar – huge fun! COZMO also gave a ‘taster’ performance on the Main Stage, Lower Level, from 12.30 – 12.50pm. We hope you saw us – enquire about joining our ensemble or participating in one of our Learning Groups! Saturday 18 February 2017, 1.45pm: COZMO played on Stage 6, Civic Square, presenting a lively mix of music from Italy, France, South America and elsewhere. It was a great weekend! 15 – 22 January 2017 in Adelaide: The Federation of Australasian Mandolin Ensembles (FAME) held its 18-monthly Mandolin Festival for the first time in Adelaide, South Australia from 15-22 January 2017. The Festival was very successful – a wonderful venue, a series of very instructive workshops run by Stephen Lalor, a free public concert to show off the beautiful sound of mandolin ensemble music to Adelaidians, and a packed house at St Peter’s Cathedral for the Finale Concert which featured mandolin ensembles and orchestras from around Australia and New Zealand, accompanied by the 30-strong Adelaide Community Choir on two pieces. FAME is anticipating that as a result of the music and fun at this Festival a new mandolin ensemble will be created in Adelaide. All mandolin, mandola, mandocello, guitar and bass players were most welcome to participate in the full week of rehearsals culminating in a – first-ever for Adelaide – mandolin and guitar orchestra Finale concert on Saturday 21 January. Partners were also very welcome to attend. If you’d like to see what this Festival was about (and what you may have missed! ), go to: FAME Adelaide Mandolin Festival 2017. The next FAME Festival will be held in Canberra in January 2019. Details will start to be posted on COZMO’s website in early 2018. Sunday 4 December: 4.00 – 5.20pm in the Atlas Room, Hellenic Club In The City, 13 Moore St, Canberra City. Saturday 5 November: The gardens of St Paul’s Uniting Church, 9.00-9.45am and 11.30-12.00 noon. Saturday 22 October: The Hall of the North Belconnen Uniting Church, 11.50am-12.30pm. Saturday 22 October: The gardens of St John’s Anglican Church, 10.00-10.30am. Groups start on Sunday 17 July 2016: Sessions: 4.00 – 5.00pm. Ensemble starts back for Terms 3 and 4 on Sunday 17 July 2016: COZMO Ensemble rehearsals: 5.15 – 7.30pm. Players of mandolin, mandola, mandocello and guitar are welcome to join our COZMO Ensemble. Phone 0421 043 082 or Email secretary@cozmo.org.au for details, prior to first visit. Sunday 26 June, 4.00 – 5.20pm. In the Atlas Room, Hellenic Club In The City, 13 Moore St, Canberra City. Tickets at door: Full $10; Concession $5. Saturday 19 March 2016, 11am-4pm. The 3rd year of Canberra’s Connect and Participate Expo. COZMO had a stall at the Expo again (as we did in 2014 and 2015), to meet Canberra’s community and let them know about the COZMO Ensemble and the COZYMO Learning Groups – Beginning and Continuing. We offered 10-minute lessons on mandolin and guitar – huge fun! COZMO also gave a ‘taster’ performance on the Main Stage, Lower Level, from 1.40 – 2.00pm. We hope you saw us – enquire about joining our ensemble or participating in one of our Learning Groups! Saturday 13 February 2016, 6.30-7.30pm. “Romance your Valentine at Floresco In The Gardens”. The COZMO Ensemble returned to Floresco Restaurant to play a delightful set of light pre-dinner music from 7.15-8.00 and 8.30-9.15pm, as patrons enjoyed their entrees by romantic candlelight at Floresco In The Gardens, Black Mountain. Groups start on Sunday 31 January 2016, 4.00 – 5.00pm. Ensemble starts back for Terms 1 and 2 on Sunday 31 January 2016: COZMO Ensemble rehearsals: 5.15 – 7.30pm. 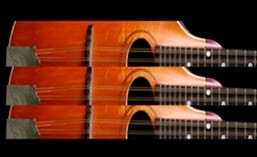 Players of mandolin, mandola, mandocello and guitar are welcome to join our COZMO Ensemble. Phone 0421 043 082 or Email secretary@cozmo.org.au for details, prior to first visit. Sunday 13 December, 4.30 – 5.30pm. In the Atlas Room, Hellenic Club In The City, 13 Moore St, Canberra City, NOT Old Saints Anglican Church, Cowper St., Ainslie. FREE ADMISSION. For more information, contact: secretary@cozmo.org.au. Lea O’Brien 0421 043 082. Saturday 21 November 2015: 10-11am: Performance on Main Stage. 1-2pm: Workshop on Ensemble Playing in Hall. 2-3pm: Performance in the historic Church. 7 November 2015: 9.00-9.45am and again at 11.00-11.50am in the gardens of St Paul’s Anglican Church, Manuka, ACT. Groups start on Sunday 12 July 2015, 4.00 – 5.00pm. Ensemble starts back for Terms 3 and 4 on Sunday 17 July 2015: COZMO Ensemble rehearsals: 5.15 – 7.30pm. Players of mandolin, mandola, mandocello and guitar are welcome to join our COZMO Ensemble. Phone 0421 043 082 or Email secretary@cozmo.org.au for details, prior to first visit. Sunday 28 June, 4.00 – 5.20pm. In the Atlas Room, Hellenic Club In The City, 13 Moore St, Canberra City. Tickets at door: Full $10; Concession $5. A program of beautiful music played by COZMO and our Learning Group COZYMO. Contact: Lea O’Brien at secretary@cozmo.org.au or 0421 043 082. Saturday 28 March 2015, 11am-4pm. Canberra’s Connect and Participate Expo is on again this year, its inaugural event having been hugely successful in March 2014. COZMO had a stall at the Expo again (as we did in 2014), to meet Canberra’s community and tell them about the COZMO Ensemble and the COZYMO Learning Groups – Beginning and Continuing. We offered 10-minute lessons on mandolin and guitar – huge fun! COZMO also gave a ‘taster’ performance on the Main Stage, Lower Level, from 1.50 – 2.10pm. We hope you saw us – enquire about joining our ensemble or participating in one of our Learning Groups! Saturday 14 February 2015, 6.30-7.30pm. “Romance your Valentine at Floresco In The Gardens”. The COZMO Ensemble returns to Floresco Restaurant to play a delightful set of light pre-dinner music from 6.30 to 7.30pm, as patrons enjoy their entrees by romantic candlelight at the National Botanic Gardens restaurant – Floresco In The Gardens, Black Mountain. Very romantic! Bookings for the Valentine’s Day Dinner 02 6162 6707. Saturday 14 February 2015, 1.20pm. COZMO will be playing on the Euro Zone Stage, Platform 2, Civic Square, presenting a lively mix of music from Italy, France, South America and elsewhere. It should be a great weekend! Groups start on Sunday 1 February 2015, at the Hellenic Club In The City, 13 Moore St Civic, Canberra. The next one-semester length COZYMO Learning Group (Beginning) and COZYMO Learning Group (Continuing) Programs start on Sunday 1 February 2015. Sunday 7 December, 4.00 – 6.00pm. In the Atlas Room, Hellenic Club In The City, 13 Moore St, Canberra City. Tickets at door: General $10; Concession $5. A program of beautiful music played by COZMO and our Learning Group COZYMO. COZMO: a delightful music from Australian composers Stephen Lalor and Rob Kay, and traditional Italian and light classical tunes. COZYMO: a short program including the much-loved Londonderry Air and joining COZMO in a sparkling latin dance tune, demonstrating their playing skills after just a few months of learning the mandolin and guitar. For more information, contact: secretary@cozmo.org.au. Lea O’Brien 0421 043 082. Saturday 23 November, 12.15 – 1.00pm. COZMO playing in the leafy green grounds of the ArtSound studios, Manuka, entertaining the crowds along with other musicians, in ArtSound’s day-long finale to its annual fund-raising Radiothon. COZMO will be performing from 10.30-11.15am and again at 11.30-12.10pm in the beautiful shady grounds of historic St Paul’s Church – a fun fete offering a variety of music, including the delightful sound of the COZMO mandolin ensemble. COZMO will be performing from 10.00-10.55am in the beautiful shady grounds of historic St John’s Church – a fun fete offering music, old-fashioned morning teas and goodies to browse and buy. Come and hear the beautiful sound of the COZMO mandolin ensemble. Saturday 11 October, 10.40-11.20am. Come hear COZMO on Stage 88 in beautiful Commonwealth Park, during Floriade – Canberra’s famous annual Tulip Festival. Saturday 20 and Sunday 21 September. COZMO will play 4 concerts at the “Turning Wave” Irish and Australian Music Festival in Yass (19-21 Sept): Saturday, 10.00 – 10.30am: Liberty Theatre; Saturday, 1.30pm: Festival Market Stage; Sunday, 12.00 noon: Festival Market Stage; Sunday, 10.00pm: Church. For the full Festival program and tickets, see: http://www.turningwave.org.au. All welcome! Groups start on Sunday 27 July 2014, at the Hellenic Club In The City, 13 Moore St Civic, Canberra. Everyone is welcome to join COZMO or participate in our Learning Groups, offered at Beginning and Continuing levels. Have fun playing the wide range of repertoire available to ensembles like ours! Contact COZMO (0421 043 082; email lea.obrien@optusnet.com.au). Bookings are essential: email or phone COZMO. These Semester-length programs offer you a great opportunity to begin to learn a plucked stringed instrument – mandolin, mandola, mandocello and guitar, or to continue to develop your playing skills. For more details: see Joining COZMO. Did you catch the fabulous short program presented by our Learning Group players at COZMO’s Annual Summer Concert on 15 December 2013? If you want to achieve or enhance this level of playing within just one or two semesters, you’ll want to participate in our next Learning Group (Beginning) or Learning Group (Continuing), starting on Sunday 27 July 2014. Anyone interested in taking up these instruments for the first time, or wanting to improve their basic skills, is welcome! Contact COZMO to book your place. COZMO at the High Court – Verdict? Magic Mandolins! Sunday 20 July 2014, 12.40 – 1.40pm: COZMO performs a beautiful set of music spanning four centuries in the amazing acoustic of the High Court foyer. All welcome; free entry (donations invited). Sunday 15 June: The COZMO Ensemble and COZYMO Learning Group warmly invite family, friends and members of the public to come along to our Annual Winter Concert. TICKETS: $10 Adults, $5 Concession* at the door. COZMO – Come and enjoy a beautiful program of music played by COZMO and our Learning Group COZYMO! COZMO will present a range of delightful music from the Baroque period to the 20th century, including traditional Italian tunes and short works by contemporary Australian and Japanese and a classic bluegrass work by the father of bluegrass music Bill Monroe. COZYMO will also delight you with a short program that includes some familiar traditional tunes, demonstrating their playing skills after just a few months of learning the mandolin and guitar. * Concession: Seniors 60+, Health Care Card holders, Full-time students, Children 12+. Friday 7 March 2014, 6.30-7.00pm: The COZMO Quartet is back at Floresco by popular demand, to provide musical accompaniment to an evening of fine wining and dining. Friday 14 February 2014, 6.30-8.00pm: “Romance your Valentine at Floresco In The Gardens”. The COZMO Ensemble returns to Floresco to play a delightful set of light dinner music from 6.30 to 8.00pm, while patrons dine by romantic candlelight at the National Botanic Gardens restaurant – Floresco In The Gardens, Black Mountain. Very romantic! Bookings for the Valentine’s Day Dinner 02 6162 6707. Sunday 9 February 2014, 2.30-2.50pm: COZMO playing at Stage 5, London Circuit Civic – all welcome! Groups start on Sunday 2 February 2014. Everyone is welcome to join COZMO or participate in our Learning Groups – at Beginning and Continuing levels. Have fun playing the wide range of repertoire available to ensembles like ours! Contact COZMO (0421 043 082; email lea.obrien@optusnet.com.au). Bookings are essential! Contact COZMO in the fortnight before the start of the Program (between 18 January and 1 February), to reserve your place: lea.obrien@optusnet.com.au. All mandolin, mandola, mandocello, guitar and bass players are most welcome to attend. Registration and further info: Melbourne FAME Festival 2014. The COZMO Ensemble and COZYMO Learning Group warmly invite family, friends and members of the public to come along to our hugely enjoyable Annual Summer Concert. TICKETS: $10 Adults, $5 Concession*, Children under 12 free – at the door. COZMO – Come and enjoy a beautiful program of music! COZMO will present a range of delightful music from the Baroque period to the 20th century, including traditional Italian and Irish tunes and short works by contemporary Australian and Japanese composers. Our Learning Group COZYMO will also delight you with a short program that includes Bach Chorales and traditional tunes, demonstrating their playing skills after just a few months of learning the mandolin and guitar. * Concession: Seniors 60+, Health Care Card holders, Full-time students, Children 12+. WHEN: Saturday 30 November 2013, 10.00am – 4.30pm. WHERE: Balcony Room, Tuggeranong Community Centre, Cowlishaw St, Greenway. WHO: All mandolin & guitar players & other interested people are most welcome! Please bring your instrument along, as this will be a true Workshop experience. COST: $40.00 for the day. Welcome tea/coffee and afternoon refreshments will be provided. Bring or buy your own lunch – a range of cafes are located along Ankatell St and in the Tuggeranong Hyperdome, just a block away. TO BOOK: Prior bookings preferred. Ph: 0421 043 082 & lea.obrien@optusnet.com.au. EVENT: Would you like to improve your skills on mandolin or guitar? Learn how to achieve a sweet, smooth tremolo? Improve your playing in the “dusty bits” up the neck? Learn how to play with dynamics? Would you like to be able to play better on guitar or mandolin in an ensemble setting? COZMO is hosting an exciting Workshop on 30 November which will cover all these topics and more! It will be led by Stephen Lalor, a Sydney-based professional musician, composer and conductor. Stephen is a virtuoso mandolin, domra and guitar player who studied at the Sydney Conservatorium and the Tchaikovsky Conservatorium in Kiev, Ukraine. We are very fortunate to have Stephen present this Workshop and all participants are guaranteed a great learning experience on the day. Session 5: Ensemble techniques for Guitar (guitar is focus; other instruments welcome). More about Stephen Lalor: As a composer, Stephen’s music covers a range of styles and genres, and has been performed and/or commissioned and performed by orchestras, smaller ensembles and individual musicians in Europe, North America and Australia. Stephen Lalor has been the Guest Principal Mandolinist with the Sydney Symphony Orchestra since the mid-1990s and has also performed and toured with orchestras in Asia. He has performed with a range of groups and ensembles over the past two decades: with the SSO, the Volatinsky Trio, the Karpatsky Guitars, Plektra and the 101 Candles Orkestra (2005 Montreux Jazz Festival). In 2010, Stephen performed a concert of his own music at the BDZ Eurofest in Germany – Europe’s major mandolin and guitar festival, the only Australian to have been invited to do so. 2011-13 has seen him perform his music in recitals in Sydney, Moscow, St Petersburg, Hong Kong, Beijing, Malaysia and Singapore. 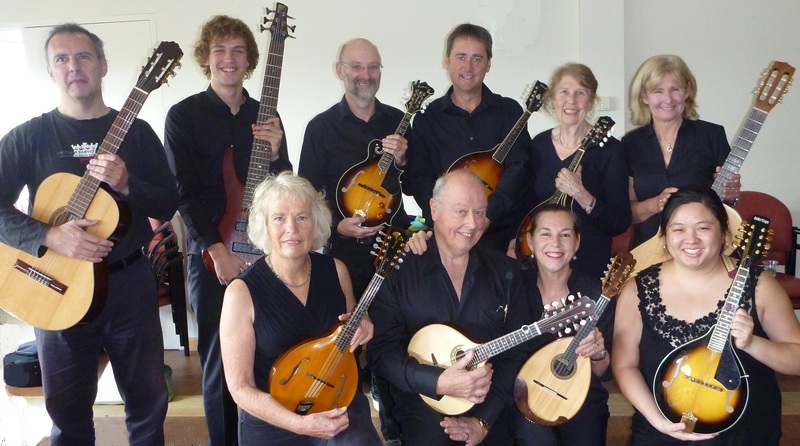 COZMO will be performing from 10.00-10.45am and again at 11.15-11.45am in the beautiful shady grounds of historic St Paul’s Church – a fun fete offering a variety of music, including the delightful and delicate sounds of the COZMO mandolin ensemble. There’ll also be other entertainment and plenty of browsing the stalls. COZMO will be performing from 10.00-10.55am in the beautiful shady grounds of historic St John’s Church – a fun fete offering music, old-fashioned morning teas and sandwiches, and all sorts of goodies to browse and buy. Come along, listen to the delightful and delicate sounds of the COZMO mandolin ensemble while sipping your coffee and eating scones with jam and cream! COZMO will be performing from 2.30-3.00pm on Stage 88 as part of Canberra’s annual Floriade festival. Bring your blanket and a picnic and enjoy COZMO’s beautiful music, the sunshine, the flowers and the company of your fellow-Canberrans and all our interstate visitors! COZMO will be performing from 2.15-3.00pm on the outdoor stage next to the shores of Lake Burley-Griffin. Come along to the Family Picnic Day and treat yourself to the wonderful sound of a mandolin orchestra, as well as all the other entertainments offered on the day! COZYMO’s next Learning Group (Beginning) and Learning Group (Continuing) Programs start on Sunday 28 July 2013. These programs run from 3.00-3.50pm (Beginning) and 4.00-4.50pm (Continuing) at the Hellenic Club In The City, Moore St, Civic, Canberra. Everyone is welcome to join COZMO or participate in our Learning Groups. Have fun playing the wide range of repertoire available to ensembles like ours! Contact COZMO (0421 043 082; email lea.obrien@optusnet.com.au). Bookings essential – contact COZMO in the week before the start of the Program, i.e book between 21-28 July, to reserve your place. These Semester-length programs offer you a great opportunity to begin to learn a plucked stringed instrument – mandolin, mandola, mandocello and guitar, or to develop your playing skills. For more details: see Joining COZMO. Did you catch the fabulous short program presented by our Learning Group players at COZMO’s Annual Winter Concert on 16 June 2013? If you want to achieve or enhance this level of playing within just one semester, you’ll want to participate in our next Learning Group (Beginning) or Learning Group (Continuing), starting on Sunday 28 July. The COZMO Ensemble and COZYMO Learning Group warmly invite family, friends and members of the public to come along to our Annual Winter Concert. COZMO – Come and enjoy our beautiful program, presenting Baroque music by Corelli and Bach, traditional Italian and Irish tunes and music by contemporary Australian composers. COZYMO, our Learning Group, will also delight you with a short program of traditional tunes, demonstrating their playing skills after just a few months of learning the mandolin and guitar. * Concession: Seniors 60+, Health Care Card holders, Full-time students, Children 12+. Children under 12 free. ‘A MUSICAL OFFERING’ – Canberra’s Own COZMO: The Magic of Mandolins! Sunday 26 May 2013: Celebrating Canberra’s Centenary: 1913-2013. At the High Court of Australia, Sunday 26 May 2013. 2.30-3.15pm. Free entry – all welcome! COZMO members playing at the High Court’s Musical Offering – Back row: David (guitar), Jack (bass), Trevor, Lindsay and Diana (mandolin), Julie (guitar). Front row: Diane, Col (MD), Lea and Christine (mandolin). Nat (mandolin) interstate. 22-29 April 2013: Some COZMO members spent a week at the 2nd ‘Mandolin Magic Camp and Concert’ event in the beautiful Beenaam Valley, 20 kms outside of Gympie, Queensland, in the company of about 20 other mandolinists, mandola-ists, guitarists and acoustic bass players. Most are members of other ‘Zupforchester’ orchestras from as far afield as Perth, Port Hedland and Auckland, and many places in between. Our own 16-hour drive from Canberra was well worth the effort! We camped in the home paddock, and played together for about 6 hours each day, spent a fun evening at the Kin Kin pub jamming and playing (and singing!) for the locals, walked on the long stretches of sand at Tin Can Bay as the tide slowly came back in, ate wonderful meals, drank endless cups of tea and coffee, wines and stronger, and experienced mega-doses of the wonderful comraderie that brings and binds together players of these plucked stringed instruments. We finished off with a wonderful public concert at St Peter’s Anglican Church in Gympie, where our Mandolin Magic Ensemble was complemented and augmented by the beautiful playing of a clarinetist, flautist, harpsichordist, violinist, and pianist/percussionist, not to mention a local choir and superb vocal soloists whom the Ensemble accompanied on several pieces. A huge thank-you to Sue Flower (host, Ensemble leader, mandolin soloist) and David Flower (host, MM chef, sound engineer) who made this week of joyous playing and friendship possible. A professionally recorded and engineered CD of the ‘Mandolin Magic’ concert is being produced and will be available for $10 – watch this space! 6 April 2013: COZMO will be entertaining residents and their families with a selection of tunes including some much-loved Italian favourites, guaranteed to have our senior citizens toe-tapping and singing along! 14 February 2013: “Romance your Valentine at Floresco In The Gardens”. The COZMO Ensemble will be playing a delightful set of music from 7.30 to 8.30pm while patrons dine by romantic candlelight at the National Botanic Gardens restaurant, Floresco In The Gardens, Black Mountain. Very romantic! Bookings for the Valentine’s Day Dinner 02 6162 6707. NOTE: Learning Group (Continuing) IS running in Semester 1, 2013 after all! Initially we started with just a Beginning group, as all applicants self-assessing as ‘Continuing’ were actually sufficiently skilled to join the COZMO Ensemble (and do a bit of ‘learning on the job’ – exciting!). However, after just a couple of Sessions, it became clear that all our Beginning group were at a higher level and they became our Continuing group! Sunday 10 February 2013: The next COZYMO Learning Group (Beginning) and Learning Group (Continuing)programs start – from 4.00 to 4.50pm. Bookings essential: phone 0421 043 082 or email lea.obrien@optusnet.com.au. These Semester-length programs offer you a great opportunity to begin to learn or continue to learn a plucked stringed instrument – mandolin, mandola, mandocello and guitar, and learn to play in an ensemble. For more details: see Joining COZMO. Did you catch the fabulous short program presented by our first Learning Group players at COZMO’s Annual Summer Concert on 16 December 2012? If you want to achieve or enhance this level of playing within just one semester, you’ll want to participate in our next Learning Group (Beginning), starting on 10 February. COZMO is sure to delight the audience with its beautiful program of classical music by Bach and Handel as well as melodic pieces by contemporary Australian and traditional Irish composers, and our Learning Group COZYMO will surprise you with its level of skill achieved after just a few months of learning the mandolin, guitar and mandocello, with a short program of pretty ‘duets’ and traditional tunes. * Concession: Seniors 60+, Health Care Card holders, Full-time students, Children 12+. Children under 12 free. WHAT: We’re holding an exciting Information/Planning Meeting on 19 August, to start a new Training Group (Learning Group & Playing Group) and to extend the Ensemble. All are welcome! Come along and become a COZMO player! Ability to read music is preferred, for those interested in the COZMO Ensemble or the Playing Group. Ensemble rehearsals and Training Group sessions will start on 26 August. For more details, contact COZMO (0421 043 082 or lea.obrien@optusnet.com.au).